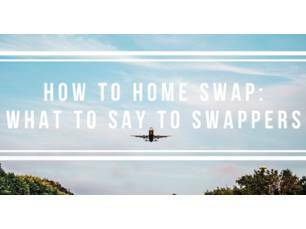 In part eight of the 'How to home swap' series we take a look at dotting the 'i's and crossing the 't's before you agree. These are the talks all swappers should get out of the way before agreeing a trip. The first and most obvious talk to get out the way is dates. Namely, what yours are and how flexible they are. This can often be a negotiation process, so it's worth being prepared for that. 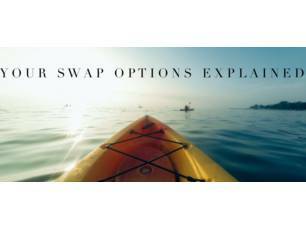 If your dates are fixed, be explicit, so if the other swapper can't accommodate you don't waste much time trying to arrange a swap that's unlikely to work. Be sure to mention everyone who will be in your travel party, as this is something all home swappers will want to know. It's also worth mentioning ages of children if they'll be travelling with you, as some homes will be more appropriate than others for youngsters. Classic, non-simultaneous or points. Again, if you're flexible, it will help to say so and might even salvage the swap. Are you swapping cars? Are you hoping to borrow skis? Do you operate an open house or are some things off-limits? You don't need to go into masses of detail, but it is helpful to establish the important stuff early on. Equally, if there's anything explicitly off-limits for you, like looking after pets, make it known sooner rather than later, to avoid any disappointments. Home swapping is all about making travel more personal, so it's lovely to give your potential host some insight into why you're visiting their area or what your occasion for travelling is. Doing so could also help to establish if their home is definitely the right choice for you. Strictly no smoking? No noise after 10pm? Don't touch the wine cellar? These are all things that your guests should know before you agree a trip. You should also add these rules into the home guide you leave for your swapper. Set your expectations early on and not much can really go wrong. Among other things, this particularly applies to cleaning your homes, the washing of towels and linen and pet care, where applicable. Whether it's being in close proximity to a certain area or whether they can accommodate for a certain allergy or mobility issues, it's vital you establish early on if your key criteria can be met by each swapper. No one likes to waste their time, so don't be afraid to be upfront. You won't regret it. If you're considering asking for a trip deposits, this needs to be a conversation before you hit that agree button. For peace of mind, talk it over first. If you're looking for some tips on how to weave these into your messages, take a look at our guide on sending the perfect swap request.